Everything we do at Musicbed goes back to the filmmaker. So when we hear filmmakers asking for updates and new features, we listen. For a while now, we’ve been working on the new Musicbed.com. 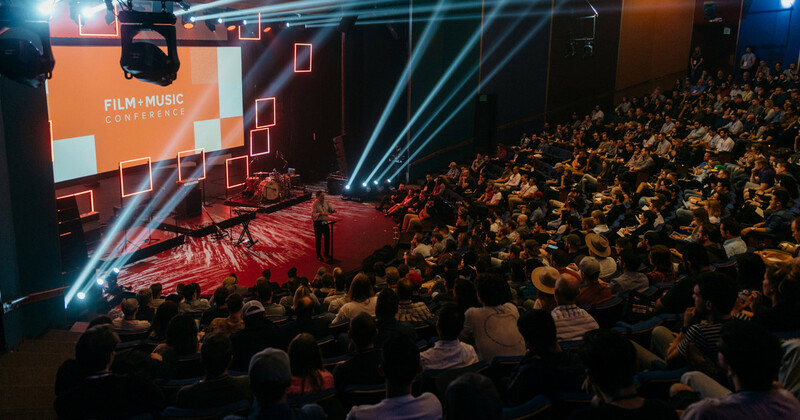 It was a massive overhaul that — among other things — makes it easier for filmmakers to not only find new artists they love, but also keep track of the new work those artists are producing. In other words: less digging, more finding. We did it because we believe the process of finding music for your films should not just be easy; it should be inspirational. We’ve worked hard to make Musicbed the best and most intuitive music licensing service in the world. And we’re confident the new Musicbed is the best Musicbed yet. Below is a bit more info about each of our updates. We love bringing filmmakers and musicians together. 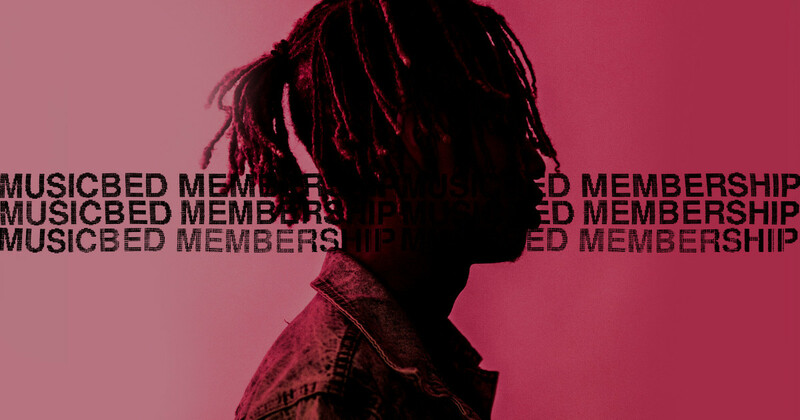 The new Musicbed.com makes it easier than ever for filmmakers to find new artists and keep up with their work. 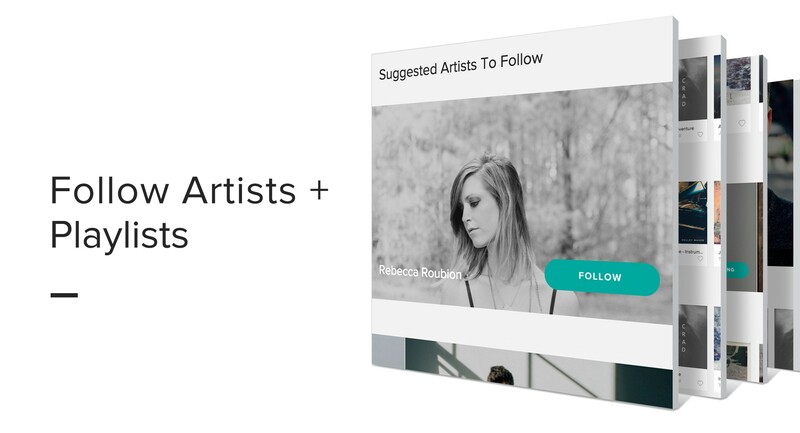 Not only will you be able to easily search your entire listening history (i.e., never forget a song again), but you can also choose to follow artists or playlists you love, and be immediately notified when new songs or projects are uploaded. Be the first to license new releases, uncover hidden gems. Our updated homepage is your Discover page and it’s built to encourage happy accidents and inspiring rabbit trails, while also making it easy for you to laser-sight the perfect track, if you’re in a hurry. You’ll find your listening history, the artists and playlists you follow, suggested artists and so much more. One of our most personal, intuitive updates is a new way to develop a working relationship with the musicians you love. Follow artists or playlists and be immediately notified when new songs or projects are uploaded. Be the first to license new releases, uncover hidden gems. Retrace your listening footsteps. You’ll be able to easily search your entire listening history for those days when you desperately need to remember “that song” or find inspiration from those you’ve heard in the past. We know many of you buy both the lyrical and instrumental versions of a song. From now on, when you bundle lyrical/instrumental versions of a track, you’ll get one of the tracks for half off. Now you can give yourself plenty of creative editing options without eating up your budget. We've added even more options for a faster, more accurate checkout process. Instead of confused customers paying the wrong price for a license — or worse, working with the wrong license altogether — we refined the cart by integrating custom quote requests, adding a personal-use feature, separating streaming/external/internal options and much more. We've even added detailed descriptions for each project type, available by simply clicking the 'question mark' on checkout. Be more confident than ever that you're buying the right license for the right project. In-house creative teams, rejoice! 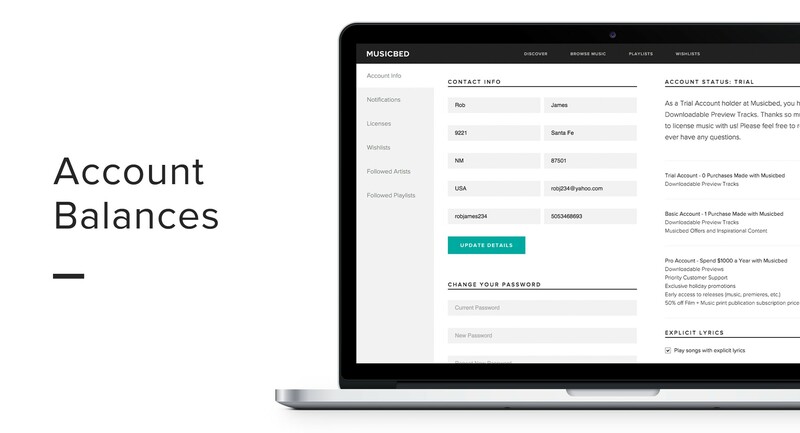 Soon you’ll be able to preload a balance into your Musicbed account and save yourself the hassle of digging out the company credit card every time you want to license a track. 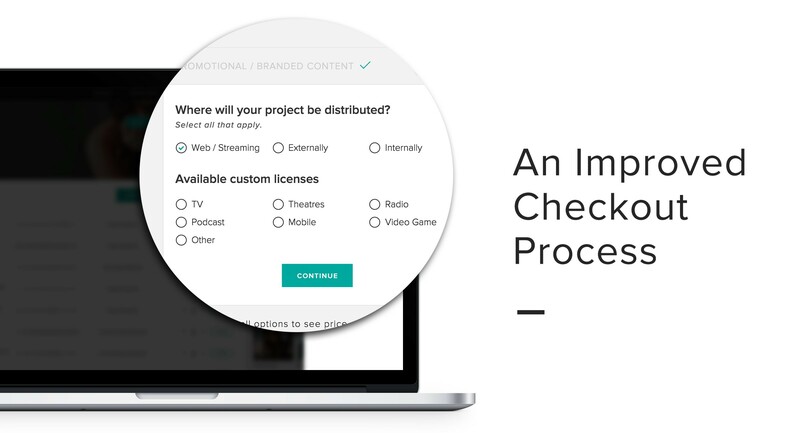 With preloaded credits, checkout is fast and easy so you can get back to what really matters: making your film. Account balances will be available early this year. 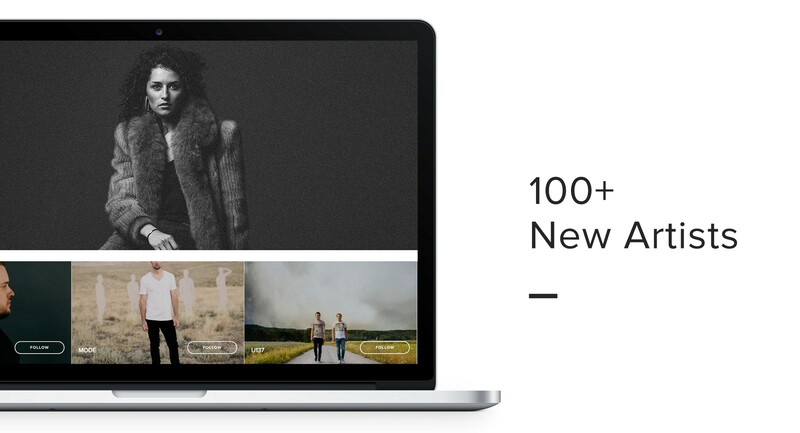 We are thrilled to be adding more than 100 new artists and albums to our library, a handpicked selection of some of today’s most exciting indie artists. 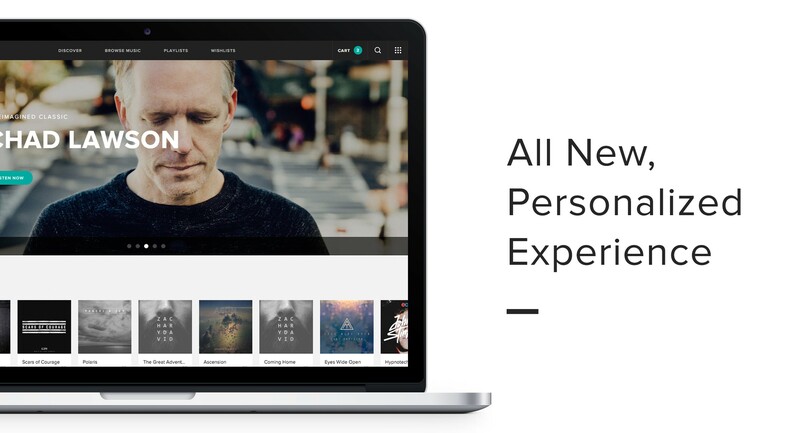 Not only is it easier than ever to discover exceptional music on the new Musicbed, but there is more music period. Your film could be a new track’s cinematic debut. On a regular basis, we bring in Musicbed artists to play live shows in our office. Anyone is welcome to attend, but we realize that making it out to Ft. Worth isn’t easy for everybody. So we’re recording one live song during each session and posting it for everyone to enjoy. Our artists are amazing, and we want to share their music with as many people as possible. 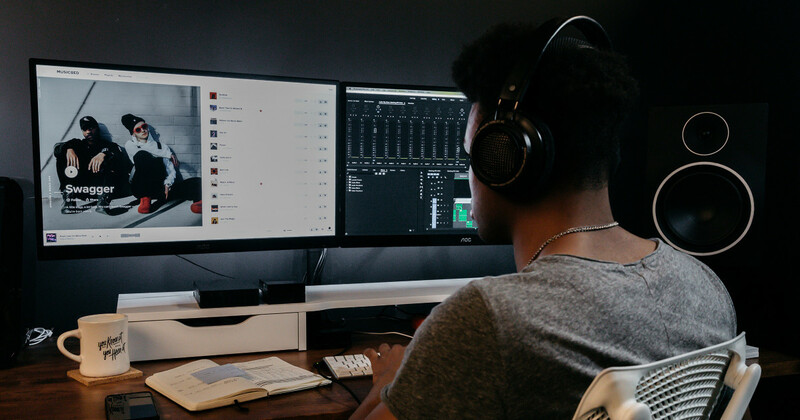 The new Musicbed gives you quick access to both new and old Musicbed Sessions, so you can watch artists perform their music live and then immediately license their tracks. You can find them and RSVP for future Sessions here. These are some of our biggest changes yet, and we’re just getting started. Our mission hasn’t changed, and it never will: to offer relevant music to exceptional creatives. 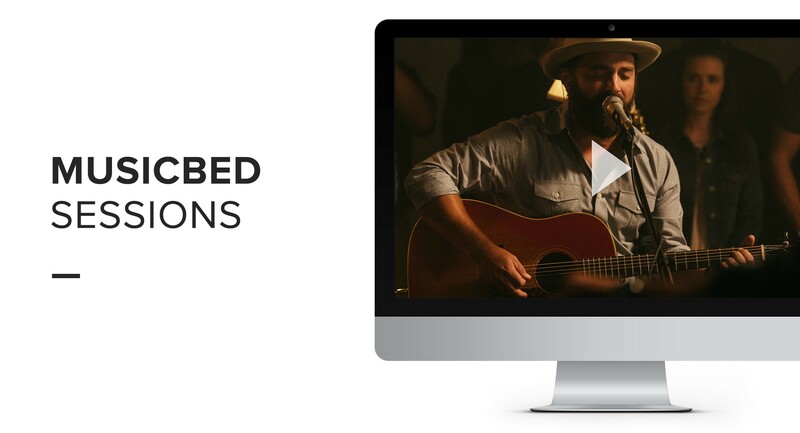 Try out the new Musicbed and see why things are better than ever.